THE CRITICS CRITICISM COMMENTS AND CONSULTATIONS ON THE ISSUE OF HATE CRIMES IN PHILIPPINE SOCIETY AND TO EVERY PART OF THE WORLD. GOD THRU JESUS CHRIST LIGHTS AND HELP OF MOTHER MARY LIGHTS AND MIRACLES LIGHTS THE WORLD FROM PHILIPPINES IN GOOD LIFE AND UNITY AND PEACE. 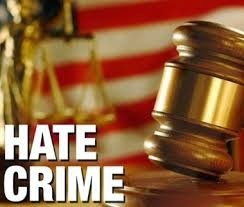 HATE CRIMES IS A CRIMES AGAINST A GROUP OR PERSON LIKE RACIAL, RELIGIOUS BELIEF, TRANSGENDER OR SEXUAL ORIENTATIONS AND OTHERS READ HERE http://en.wikipedia.org/wiki/Hate_crime. A PEOPLE OR GROUPS ALSO HAS SEVERE HATE OR HAVING BIAS OUTLOOK ON THE SAID PEOPLE SPECIALLY ON THEIR WEAKNESS RESULTING TO VIOLENCE AND DEFAMATIONS TO SEVERE CRIMINAL ACTS. 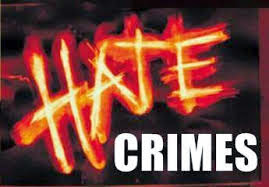 THE PEOPLE DOING THIS HATE CRIMES ARE NOT LOGICAL OR RATIONALITY AND RESPECT AND LOVE TO OTHERS HATING SOME PEOPLE OR THING..
PEOPLE HAS TO SUPPORT HUMAN RIGHTS IMPLEMENTATIONS TO ANY NATIONS TO GLOBAL NATIONS OR SOCIETY TO TEACH THE PEOPLE RESPECT AND BASICALLY RESPECT RIGHTS OF OTHERS FROM CIVIL RIGHTS. THE PEOPLE OR GROUP ALSO BEING HATED LIKE TRANSGENDERS CAN GIVE BY EACH COUNTRY GOVERNMENT AND UNITED NATIONS INTERNATIONAL LAWS HUMAN RIGHTS AND LAWS FOR THEM TO PROTECT THEM FROM DEFAMATIONS AND DISCRIMINATIONS TO SEVERE CRIMES. IN COMMON GOOD OF ALL UNITY AND MODERN CIVILIZATIONS WE RESPECT RIGHTS OF THE PEOPLE AND COMMON GOOD OF ALL. THE EDUCATIONS IN SCHOOLS AND IN WORKPLACE AND GOVERNMENT ETC., ETC., PLACES THEY SHOULD TEACH EQUALLY IN UNITY WITH THEM FOR THE PEACE OF ALL. THERE MUST BE EQUAL TREATMENTS AND RESPECT WHICH ARE ALL HAVE RIGHTS AS HUMAN AND WE ARE ALL HUMAN AND THERE IS NO HIGHER AND LOWER TO EVERY HUMAN AND WE MUST RESPECT FOR EVERY WEAKNESS AND STATUS OF EVERY HUMAN KIND. GENERALLY UNITY AND LOVE AND PEACE AND RESPECT TO OTHERS IS THE SOLUTION TO PREVENT HATE CRIMES AND TO HAVE GOOD SOCIETY. TO ACHIEVE THIS SUPPORT HOW TO BUILD OUR MODERN SOCIETY IN CONTINUES CYCLE AND GENERATIONS. IN THE BIBLE SAYS HATE EVILNESS AND DO NOT DO EVILNESS. UNITE IN PEACE AND LOVE AND HATE THE CRIMES AND DO GOOD FOR ALL AND DO NOT DO HATE CRIMES.